Utopian socialism is a label used to define the first currents of modern socialist thought as exemplified by the work of Henri de Saint-Simon, Charles Fourier, Étienne Cabet, and Robert Owen. Utopian socialism is often described as the presentation of visions and outlines for imaginary or futuristic ideal societies, with positive ideals being the main reason for moving society in such a direction. Later socialists and critics of utopian socialism viewed "utopian socialism" as not being grounded in actual material conditions of existing society, and in some cases, as reactionary. These visions of ideal societies competed with Marxist-inspired revolutionary social democratic movements. The term is most often applied to those socialists who lived in the first quarter of the 19th century who were ascribed the label "utopian" by later socialists as a pejorative in order to imply naiveté and to dismiss their ideas as fanciful and unrealistic. A similar school of thought that emerged in the early 20th century is ethical socialism, which makes the case for socialism on moral grounds. One key difference between utopian socialists and other socialists (including most anarchists) is that utopian socialists generally do not believe any form of class struggle or political revolution is necessary for socialism to emerge. Utopians believe that people of all classes can voluntarily adopt their plan for society if it is presented convincingly. They feel their form of cooperative socialism can be established among like-minded people within the existing society, and that their small communities can demonstrate the feasibility of their plan for society. The thinkers identified as utopian socialist did not use the term utopian to refer to their ideas. Karl Marx and Friedrich Engels were the first thinkers to refer to them as utopian, referring to all socialist ideas that simply presented a vision and distant goal of an ethically just society as utopian. This utopian mindset which held an integrated conception of the goal, the means to produce said goal, and an understanding of the way that those means would inevitably be produced through examining social and economic phenomena, can be contrasted with scientific socialism, which has been likened to Taylorism. This distinction was made clear in Engels' work Socialism: Utopian and Scientific (1892, part of an earlier publication, the Anti-Dühring from 1878). Utopian socialists were seen as wanting to expand the principles of the French revolution in order to create a more "rational" society. Despite being labeled as utopian by later socialists, their aims were not always utopian, and their values often included rigid support for the scientific method and the creation of a society based upon scientific understanding. The term "utopian socialism" was introduced by Karl Marx and Friedrich Engels in The Communist Manifesto in 1848, although shortly before its publication Marx had already attacked the ideas of Pierre-Joseph Proudhon in Das Elend der Philosophie (originally written in French, 1847). The term was used by later socialist thinkers to describe early socialist or quasi-socialist intellectuals who created hypothetical visions of egalitarian, communalist, meritocratic, or other notions of "perfect" societies without considering how these societies could be created or sustained. In Das Elend der Philosophie, English title 'The Poverty of Philosophy', Marx criticized the economic and philosophical arguments of Proudhon set forth in The System of Economic Contradictions, or The Philosophy of Poverty. Marx accused Proudhon of wanting to rise above the bourgeoisie. In the history of Marx's thought and Marxism, this work is pivotal in the distinction between the concepts of utopian socialism and what Marx and the Marxists claimed as scientific socialism. Although utopian socialists shared few political, social, or economic perspectives, Marx and Engels argued that they shared certain intellectual characteristics. In The Communist Manifesto, Marx and Engels wrote, "The undeveloped state of the class struggle, as well as their own surroundings, causes Socialists of this kind to consider themselves far superior to all class antagonisms. They want to improve the condition of every member of society, even that of the most favored. Hence, they habitually appeal to society at large, without distinction of class; nay, by preference, to the ruling class. For how can people, when once they understand their system, fail to see it in the best possible plan of the best possible state of society? Hence, they reject all political, and especially all revolutionary, action; they wish to attain their ends by peaceful means, and endeavor, by small experiments, necessarily doomed to failure, and by the force of example, to pave the way for the new social Gospel." Marx and Engels used the term "scientific socialism" to describe the type of socialism they saw themselves developing. According to Engels, socialism was not "an accidental discovery of this or that ingenious brain, but the necessary outcome of the struggle between two historically developed classes – the proletariat and the bourgeoisie. Its task was no longer to manufacture a system of society as perfect as possible, but to examine the historical-economic succession of events from which these classes and their antagonism had of necessity sprung, and to discover in the economic conditions thus created the means of ending the conflict." Critics have argued that utopian socialists who established experimental communities were in fact trying to apply the scientific method to human social organization, and were therefore not utopian. For instance, Joshua Muravchik, on the basis of Karl Popper's definition of science as "the practice of experimentation, of hypothesis and test" argued that "Owen and Fourier and their followers were the real ‘scientific socialists.’ They hit upon the idea of socialism, and they tested it by attempting to form socialist communities." Muravchik further argued that, in contrast, Marx made untestable predictions about the future, and that Marx's view that socialism would be created by impersonal historical forces may lead one to conclude that it is unnecessary to strive for socialism, because it will happen anyway. Since the mid-19th century, Marxism and Marxism-Leninism overtook utopian socialism in terms of intellectual development and number of adherents. At one time, almost half of the world's population was governed by self-proclaimed Marxists. Currents like Saint-Simonianism and Fourierism attracted the interest of numerous later authors but failed to compete with the now dominant Marxist, Proudhonist, or Leninist schools on a political level. It has been noted that they exerted a significant influence on the emergence of new religious movements such as Spiritualism and Occultism. Perhaps the first utopian socialist was Thomas More (1478-1535), who wrote about an imaginary socialist society in his book Utopia, which was published in 1516. The contemporary definition of the English word "utopia" derives from this work. Many aspects of More's description of Utopia was influenced by life in monasteries. 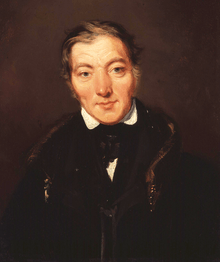 Robert Owen was one of the founders of Utopian socialism. Saint-Simonianism was a French political and social movement of the first half of the 19th century, inspired by the ideas of Claude Henri de Rouvroy, comte de Saint-Simon (1760–1825). His ideas influenced Auguste Comte (who was, for a time, Saint-Simon's secretary), Karl Marx, John Stuart Mill, and many other thinkers and social theorists. Robert Owen (1771–1858) was a successful Welsh businessman who devoted much of his profits to improving the lives of his employees. His reputation grew when he set up a textile factory in New Lanark, Scotland, co-funded by his teacher, the utilitarian Jeremy Bentham, and introduced shorter working hours, schools for children and renovated housing. He wrote about his ideas in his book A New View of Society, which was published in 1813, and An Explanation of the Cause of Distress which pervades the civilized parts of the world in 1823. He also set up an Owenite commune called New Harmony in Indiana, USA. This collapsed when one of his business partners ran off with all the profits. Owen's main contribution to socialist thought was the view that human social behavior is not fixed or absolute, and that humans have the free will to organize themselves into any kind of society they wished. Charles Fourier (1772–1837) was by far the most utopian of socialists. Rejecting the industrial revolution altogether and thus the problems that arose with it, he made various fanciful claims about the ideal world he envisioned. Despite some clearly non-socialist inclinations, he contributed significantly - if indirectly - to the socialist movement. His writings about turning work into play influenced the young Karl Marx and helped him devise his theory of alienation. Also a contributor to feminism, Fourier invented the concept of phalanstère, units of people based on a theory of passions and of their combination. Several colonies based on Fourier's ideas were founded in the United States by Albert Brisbane and Horace Greeley. Étienne Cabet (1788–1856), influenced by Robert Owen, published a book in 1840 entitled Travel and adventures of Lord William Carisdall in Icaria in which he described an ideal communalist society. His attempts to form real socialist communities based on his ideas, through the Icarian movement, did not survive, but one such community was the precursor of Corning, Iowa. Possibly inspired by Christianity, he coined the word "communism" and influenced other thinkers, including Karl Marx and Friedrich Engels. Edward Bellamy (1850–1898) published Looking Backward in 1888, a utopian romance novel about a future socialist society. In Bellamy's utopia, property was held in common and money replaced with a system of equal credit for all. Valid for a year and non-transferable between individuals, credit expenditure was to be tracked via 'credit-cards' (which bear no resemblance to modern credit cards which are tools of debt-finance). Labour was compulsory from age 21 to 40, and organised via various departments of an 'Industrial Army' to which most citizens belonged. Working hours were to be cut drastically due to technological advances (including organisational). People were expected to be motivated by a Religion of Solidarity, and criminal behavior was treated as a form of mental illness or 'atavism'. The book ranked as second or third best seller of its time (after Uncle Tom's Cabin and Ben Hur). In 1897, Bellamy published a sequel entitled Equality as a reply to his critics, and which lacked the Industrial Army and other authoritarian aspects. William Morris (1834–1896) published News from Nowhere in 1890, partly as a response to Bellamy's Looking Backwards, which he equated with the socialism of Fabians such as Sydney Webb. Morris' vision of the future socialist society was centred around his concept of useful work as opposed to useless toil, and the redemption of human labour. Morris believed that all work should be artistic, in the sense that the worker should find it both pleasurable and an outlet for creativity. Morris' conception of labour thus bears strong resemblance to Fourier's, while Bellamy's (the reduction of labour) is more akin to that of Saint-Simon or in aspects Marx. The Brotherhood Church in Britain and the Life and Labor Commune in Russia were based on the Christian anarchist ideas of Leo Tolstoy (1828–1910). Pierre-Joseph Proudhon (1809–1865) and Peter Kropotkin (1842–1921) wrote about anarchist forms of socialism in their books. Proudhon wrote What is Property? (1840) and The System of Economic Contradictions, or The Philosophy of Poverty (1847). Kropotkin wrote The Conquest of Bread (1892) and Fields, Factories and Workshops (1912). Many of the anarchist collectives formed in Spain, especially in Aragon and Catalonia, during the Spanish Civil War were based on their ideas. Many participants in the historical kibbutz movement in Israel were motivated by utopian socialist ideas. Augustin Souchy (1892–1984) spent most of his life investigating and participating in many kinds of socialist communities. He wrote about his experiences in his autobiography Beware! Anarchist!. Behavioral psychologist B.F. Skinner (1904–1990) published Walden Two in 1948. The Twin Oaks Community was originally based on his ideas. Ursula K. Le Guin (born 1929) wrote about an impoverished anarchist society in her book The Dispossessed, published in 1974. In it, the anarchists agree to leave their home planet and colonize a barely habitable moon in order to avoid a bloody revolution. Some communities of the modern intentional community movement, such as kibbutzim, could be categorized as utopian socialist. Religious sects whose members live communally, such as the Hutterites or Bruderhof Communities, for example, are not usually called "utopian socialists", although their way of living is a prime example. They have been categorized as religious socialists by some. Classless modes of production in hunter-gatherer societies are referred to as "primitive communism" by Marxists to stress their classless nature. A related concept is that of a socialist utopia, usually depicted in works of fiction as possible ways society can turn out to be in the future, and often combined with notions of a technologically revolutionized economy. Utopian communities have existed all over the world. In various forms and locations, they have existed continuously in the United States since the 1730s, beginning with Ephrata Cloister, a religious community in what is now Lancaster County, Pennsylvania. ↑ "Heaven on Earth: The Rise and Fall of Socialism". Public Broadcasting System. Retrieved December 15, 2011. 1 2 3 Draper, Hal (1990). Karl Marx's Theory of Revolution, Volume IV: Critique of Other Socialisms. New York: Monthly Review Press. pp. 1–21. ISBN 0853457980. ↑ Frederick Engels. "Socialism: Utopian and Scientific (Chpt. 1)". Marxists.org. Retrieved 2013-07-03. ↑ Engels, Friedrich and Marx, Karl Heinrich. »Manifest der Kommunistischen Partei«. Edited by Sálvio M. Soares. MetaLibri, October 31, 2008, v1.0s. ↑ Steven Kreis (January 30, 2008). "Karl Marx, 1818-1883". The History Guide. ↑ Strube, Julian (2016). "Socialist Religion and the Emergence of Occultism: A Genealogical Approach to Socialism and Secularization in 19th-Century France." Religion; Cyranka, Daniel (2016). "Religious Revolutionaries and Spiritualism in Germany Around 1848." Aries 16/1, pp. 13-48. ↑ J. C. Davis (28 July 1983). Utopia and the Ideal Society: A Study of English Utopian Writing 1516-1700. Cambridge University Press. p. 58. ISBN 978-0-521-27551-4. ↑ Sam Dolgoff (1990). The Anarchist Collectives: Workers' Self-Management in the Spanish Revolution 1936-1939. Black Rose Books. ↑ Sheldon Goldenberg and Gerda R. Wekerle (September 1972). "From utopia to total institution in a single generation: the kibbutz and Bruderhof". International Review of Modern Sociology. 2 (2): 224–232. JSTOR 41420450. ↑ Donald E. Frey (2009). America's Economic Moralists: A History of Rival Ethics and Economics. SUNY Press. p. 61. ↑ "Primitive communism: life before class and oppression". Socialist Worker. May 28, 2013. ↑ Yaacov Oved (1988). Two Hundred Years of American Communes. Transaction Publishers. pp. 3, 19. Wikimedia Commons has media related to Utopian socialism.